Havana, Cuba—You see them on stage, on passenger flights, and at trade fairs: Americans in Cuba legally, and hoping to travel here more often. The American Ballet Theater has just performed here for the first time in 50 years. It was a wildly popular performance, featuring two Cuban-American dancers—Jose Manuel Carreno and Xiomara Reyes, who was in Cuba for the first time since fleeing the country with her family 18 years ago. The New York Philharmonic, too, just announced plans to travel to Cuba early next year, and several Cuban musicians, performing with Chucho Valdes, have also toured the United States recently. The American performers in Havana are part of a wider relaxation of person-to-person contacts between the two countries. Our flight from Miami was one of several daily, direct charters from the United States, filled with Cuban-Americans who since last year have been allowed to visit their relatives here. The airline we took, Sky King, flies twice a day and will soon add a third flight. At the Havana international trade fair, I saw dozens of American companies hawking their wares. Most are food suppliers, which are allowed to import under a 2001 exemption for agricultural products. A man dressed up as a chocolate bar handed out free Hershey products. An Oregon farming cooperative showed off steamed vegetables to a long line of Cuban businessmen waiting for free samples. Gulfstream, another beneficiary of those charter flights, also had a stall. Somehow, despite all the restrictions, the United States is Cuba’s fifth-largest importer. From Cubans and Americans here, each sale, each performance, and each flight draws smiles and warm wishes for a broader opening. But for now, those will remain hopes. Republican control of Congress—in particular, the ascension of pro-embargo, Cuban-American Representative Ileana Ros-Lehtinen to chair of the House Foreign Affairs Committee—will effectively kill any Congressional effort to ease trade or travel restrictions. The president could ease them himself by executive order; for instance, he could instruct the Treasury Department not to punish Americans who come here without official permission. But a modest proposal to ease the travel ban further, allowing Americans to make trips to the island for athletic, academic and religious events, has been sitting on his desk for months. Many Cuba analysts doubt he has the political capital or will to push the issue now. This is not the opening Cuba was expecting from President Obama. From average Cubans, we heard disappointment. And from Cuban officials, we heard that familiar mix of pride and amusement at what they see as American stubbornness. "We'll do just fine without you," one official told me. At home, Cuba is changing on its own in ways that, by Cuban standards at least, are striking. Raul Castro has publicly scolded his people for not working hard enough. 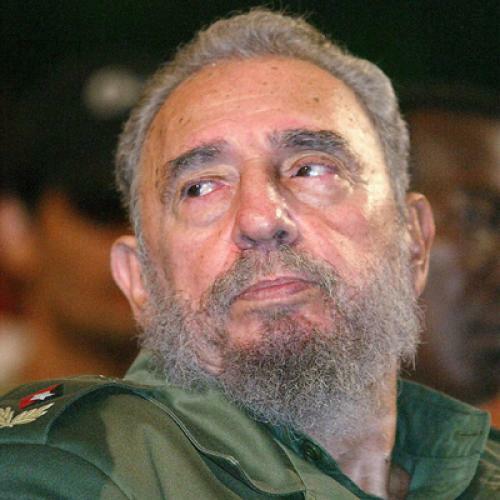 Fidel Castro was even quoted as saying that Cuba's economic model has failed (a statement his office later disputed). New reforms seem to underline that assessment. Over the next several years, the government will fire one million state workers, reducing the portion of Cubans employed by the state from a bewildering 90 percent to a still bloated 75 percent. To ease the transition, the government is allowing more private enterprise, delineating 178 officially sanctioned businesses from barbers to button-makers. We visited one of the early, modest experiments in private enterprise, an antique book market in Old Havana. Stalls sell old editions of Life Magazine, vintage books, and Che Guevera memorabilia, while paying a monthly tax of about $5. However meager, the profits earned by these new island entrepreneurs are their own. Nearby, a private pizza parlor sells to tourists and students. Private taxis now outnumber state taxis and private parking attendants will park and wash your car. Perhaps more strikingly, the government has gradually been releasing political prisoners. A longtime Cuba-based analyst told me one reason is that it's just too expensive to keep them all behind bars. Ninety miles north, the changes have won tepid reviews from U.S. officials. While opinion polls show a softening of Cuban-American support for the trade embargo, the political leadership is moving in the opposite direction. Foreign Relations Committee Chair Ros-Lehtinen will replace a pro-reform Democrat, Representative Howard Berman. And a bill to relax the travel ban and allow more agricultural exports—more Hershey’s and frozen vegetables—is not expected to make it out of the current lame-duck session of Congress. Predicting an imminent flood of American businesses and tourists, visitors to Cuba have for years told friends: "Visit now before it all changes." There doesn't appear to be any reason to rush.